Jay Park woos a girl via his skills at singing, dancing, and stalking. I guess Jay Park’s recent MVs just aren’t my thing. As with his song “Demon,” I wasn’t feeling this song (although I did enjoy this one more than “Demon” because we got to hear Jay rapping more, and his raps are awesome). I mainly didn’t like the chorus, which is repetitive and a little dull. But I admit I liked the song better when I heard it all in one go—you know, like an actual song—than in the way it was in pieces in the music video. The gaps between sections of the song bothered me, as always. I don’t know how I’m going to handle T-ARA’s upcoming music video “Cry, Cry,” which is apparently 30 minutes long, when I can’t even enjoy stuff like this. Definitely the raps, and this is consistent with most of Jay’s songs. In my opinion, he needs to focus on the choruses of future songs so that they’re more fast-paced to match the energy of his rapping in the verses. Of course not, Jay’s a native speaker. Also, he gets massive “aww” points for having the (Korean) line “In my dream, it’s you / I learned Korean in order to talk to you.” Isn’t that adorable? The visual quality of the video is excellent, and I didn’t get that impression from “Demon,” so that’s a good start. However, just as the song drastically changes its tone during the chorus, the video switches from one concept to another, and unfortunately none of them go particularly well together, in my opinion. The strongest concept was similar to Park Seong Min’s “Beautiful Girl” (they both even take their girlfriends to amusement parks! 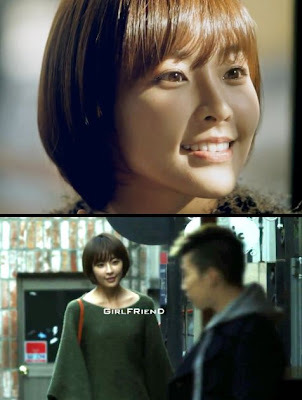 ), but “Beautiful Girl” maintained the same tone throughout, whereas “Girlfriend” shuffles between a few. On the other hand, it can’t be denied that if fans wanted a glimpse at Jay’s “softer side,” they got that here, albeit broken up a bit. Jay’s nervousness and subsequent relief that she’s okay with the little shrine of pictures he set up was quite sweet, a very natural side of him, and my favorite moment of the video. In short, the stalker files. I know. No fangirl wants to see this. But they are really cute together. You know, most idols would shy away from showing an actual kiss in their music videos for fear of endangering the girl’s life making fans feel jealous, so I applaud Jay for having the balls to show this. All right, it worked. I’m jealous. Look, she’s even labeled and everything. To be fair, with those moves, who wouldn’t want to date him? I guess he keeps them at the carnival? Does he live there? Is he a secret carny?! And instead of being horrified and running away screaming, Girl is touched by his sweet gesture. This is the exact opposite of what my expression would be in this situation. Then they ride off into the sunset in Boy’s BMW. Moral of the story: if you’re Jay Park, you can pretty much do anything and still get girls to like you. They look adorable, and what’s more is they look adorable together. A great couple (ignoring the stalker thing at the beginning). He’s unexpectedly sweet in this music video. I hate to say I disapprove of this concept, because it’s nice to see different sides of artists now and again. But the fact remains that in a Jay Park music video, he’s just too good of a dancer to not have some kind of dance in there. So they had to fit that in somehow, and the result was breaking up both the song and the video. However, I can’t see any perfect alternative with this song and concept. Yeah....that wall of pictures creeped me out. And reminded me of the scene from the second MV for Song Ji Eun's "Going Crazy." And that random dance....yes, he's a good dancer, but can he please do it in an MV where it makes sense? 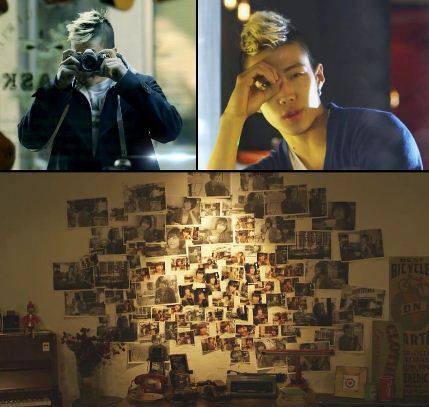 Like he did in 5Dolls' MVs? And reminded me of the scene from the second MV for Song Ji Eun's "Going Crazy. "That video is so deliciously creepy, isn't it? My favorite scene is how the actress throws the lighter back behind her. :D But yeah, Jay Park, something's wrong when we're comparing your video to one where someone is kidnapped and burned to death...sigh. So the music video was lol... When does creepy= get you the girl? Last time I checked being creepy gets you awkward looks or worse. haha, as for the song, I actually prefer the singing versus the rap, but over all I like the song because it's light hearted, and it is a feel good song. When does creepy= get you the girl? Last time I checked being creepy gets you awkward looks or worse. Oh, really? Well, the singing is very sweet, I'll give you that, I guess I just prefer faster-paced stuff. it showcases Jay's voice: small but very neat, I dunno, pleasant? Yeah, I see where you're coming from there. It's a very clean voice and easy to listen to, and we don't get to hear it much. I hope in the future he can have songs that show his voice off more and have stronger choruses. MY EYES BUGGED OUT OF MY HEAD when I saw that he was losing against her! WTF, voters? Nothing against Hyuna; she's an awesome dancer, but it's Jay Park!